As Valentines Day approaches and you're considering how you can make the day extra special for the one you love, you'll likely start to consider how boring the day often becomes. Year after year, the day of love rolls around and many lovebirds fall into the trap of the same old routine: flowers, chocolate, dinner date. Often our Valentines activities can fall short of really expressing how much our special someone means to us. So we wanted to help you get a little more creative so your sweetheart can see by your thoughtful ideas how much they are truly loved. 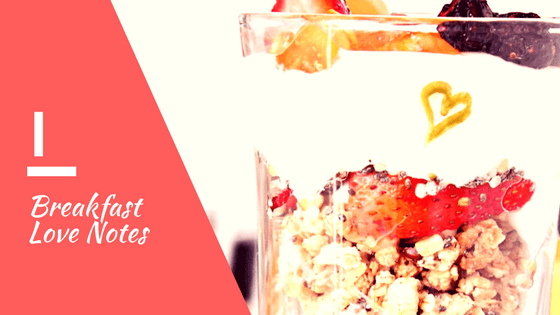 We all know that what happens first thing in the morning can set the tone for the entire day. So what better way to start your Valentines Day than by showing the love of your life that you have remembered the day is all about them from the moment they wake up. Breakfast in bed is thoughtful but how much better are personal notes of love to accompany breakfast. Skip the paper and impress your sweetie with creative doodles and love notes right on their dishes or coffee mug. Wine Glass Writers Make this simple with beautiful colors that wash right off with a little soap and water. Even if you have to head out early for work and your sleeping beauty is not ready to wake up. Wine Glass Writers make it easy to write a love note on their coffee mug and leave it beside the coffee pot. This is the perfect way to let your Valentine know that they were the first thing on your mind this morning and a great way to ensure you're one of the fist things on their mind as well. Sometimes the most meaningful gifts are not the most expensive. This easy to make DIY Valentines Day gift is incredibly simple and truly is the gift of love that keeps on giving. 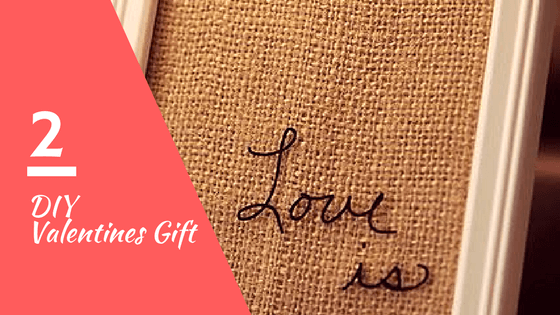 Simply use some pretty fabric or paper inside a cute picture frame and follow with a proclamation of your love written on the glass with a Wine Glass Writer. Keep the love going all year long by cleaning your frame with a little Windex and writing a brand new message regularly, giving your Valentine compliments and special reasons that you continue to love them not just on Valentines Day, but every day. Candy is a classic on Valentines Day. 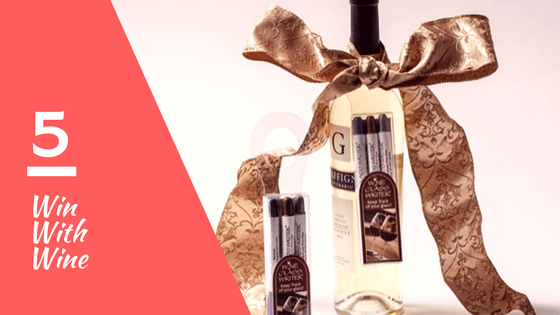 Give this traditional gift a bit of a boost by showing you put a little extra time and thought into this easy gift by placing your sweet treats into a pretty jar and labeling it with love using a Wine Glass Writer. This is a great place to use a cute Valentines Day pun such as 'you are so sweet'. You could also fill the jar with mints accompanied by the message 'we are MINT to be together'. 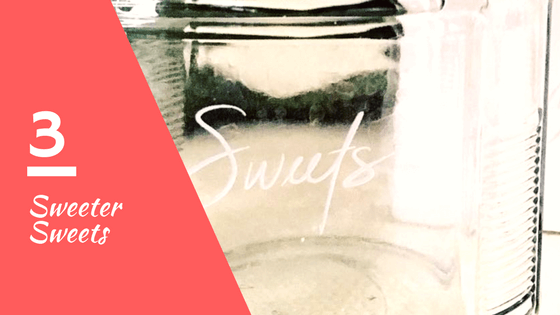 Let us know what you would write on your jar in the comments below! What's more intriguing than an unexpected message in an unlikely place? 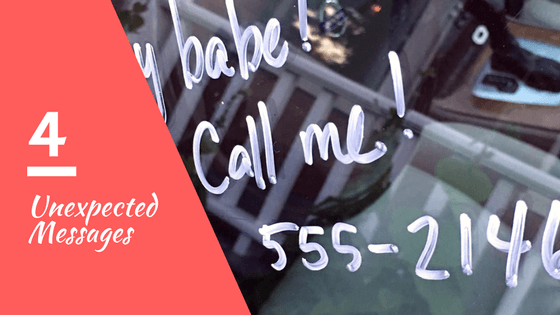 Have fun with your date by dropping by your Valentine's place of work and leaving a compelling note promising lots of love on their car. Try leaving an unexpected time and place to meet up for romance, such as dinner, the spa, a weekend getaway...the options are limitless. Even finding a simple 'thinking about you' love note will go a long way at the end of the day. Wine Glass Writers will wash off with a little soap and water or Windex so a car window is definitely an unexpected and fun way to show your love this Valentines Day.